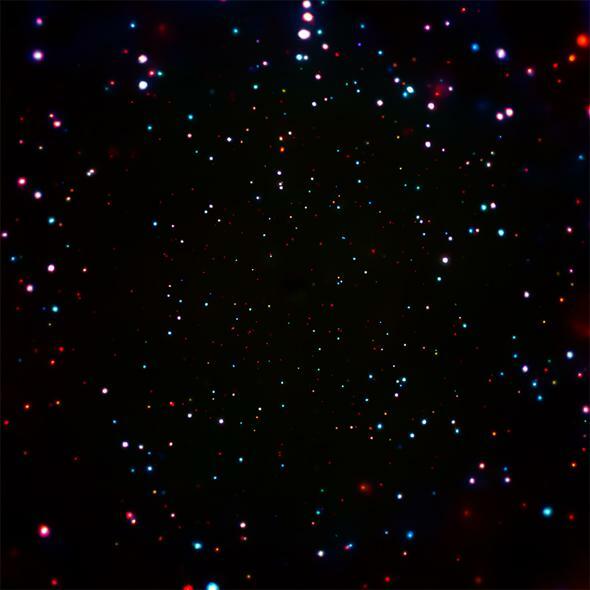 Chandra Deep Field image reveals thousands of black holes. My God. It’s Full of Black Holes. That image is a part of the Chandra Deep Field South, the result of a series of very long exposures of one small section of the sky using the space-based Chandra X-Ray Observatory. Astronomers combined images taken over the 18-year period from 1999 to 2016, creating a stacked image that’s the equivalent of a single 7,016,500 second exposure. That’s more than 81 days. The scientists estimate that roughly 70 percent of the objects in that image are supermassive black holes, and in the whole image there are about 5,000 sources. 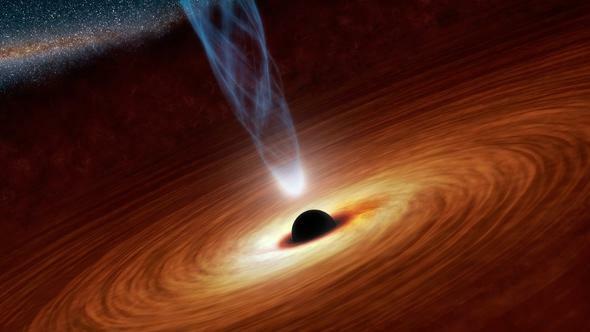 Imagine: Thousands of black holes in just that one tiny part of the sky! 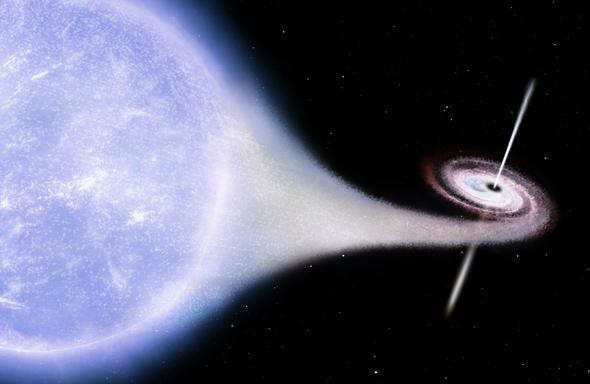 Extrapolating to the whole sky, astronomers estimate there must be more than 1 billion supermassive black holes out in the deep Universe that Chandra could see. A billion. Holy cow. The good news is they’re far away, and don’t pose any sort of threat to us. And in reality, instead of being scared, you should be thankful: Galaxies and black holes form together, so the Milky Way being here the way it is today is due to its central supermassive black hole. And massive stars exploding seed the Universe with heavy elements like iron, calcium, and other ingredients necessary for life to form. They may leave behind a black hole after the supernova, but they also made it possible for us to be here at all. It’s a weird Universe indeed where we owe our existence to these cosmic devourers. But, literally, that’s where we are. And that’s why I love this Chandra image and research so much. It tells us so much about ourselves and how we came to be.